H Volkswagen ανακοίνωσε τα αξεσουάρ που έχει ετοιμάσει για το ανανεωμένο Jetta. Ανάμεσά τους συναντάμε αεροτομή, μαύρες χρωμιομένες οι γυαλιστερές απολήξεις εξατμίσεων διαμέτρου 76 mm, σχάρες οροφής, μπαγαζιέρα, νέα πεντάλς από ανοξείδωτο χάλυβα και βελούδινα πατάκια. True to its motto “Now comes Jetta” the original presents accessories for the sedan. Volkswagen Accessories offers all those who, despite all the elegance and sportiness of the new Jetta want even more dynamic design, a variety of exterior and interior product world. 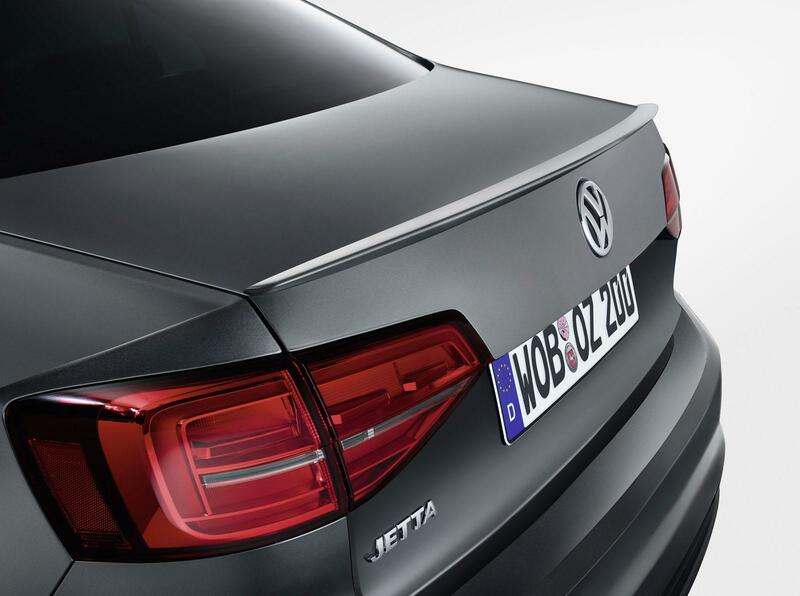 A brilliant accent with a powerful expression: the Volkswagen Genuine tail silencer trim adds even more dynamics to the rear of the new Jetta. The tapered shape of highly polished stainless steel and a diameter of 76 millimeters make the vehicle to the optical epitome of sportsmanship. Those who prefer something more discreet, selects the variant in black chrome. 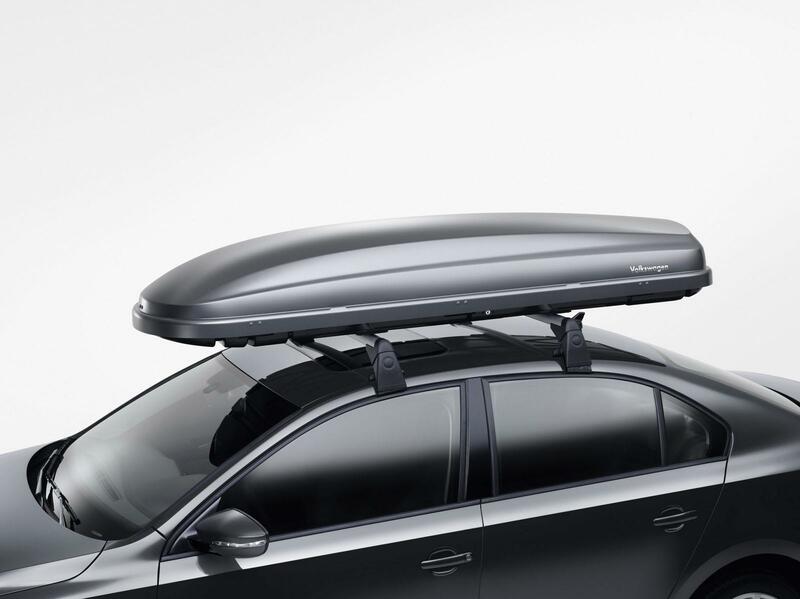 So little effort, so much action: The Volkswagen Genuine tailgate spoiler makes the car more aerodynamic. It is made ? 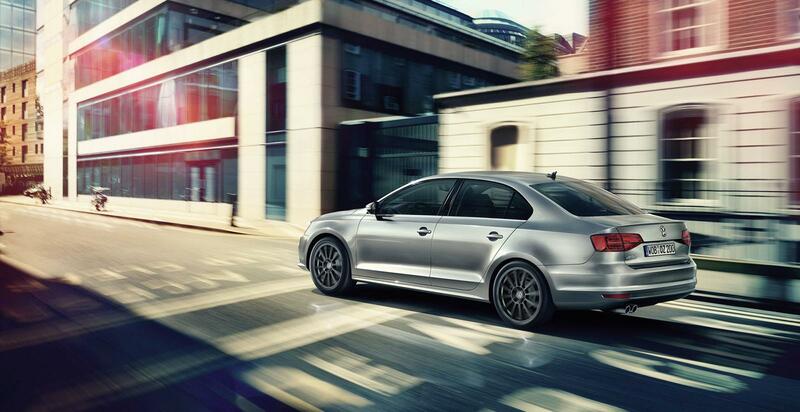 ?from super-durable material and attached with just a few clicks on the sedan the Jetta. 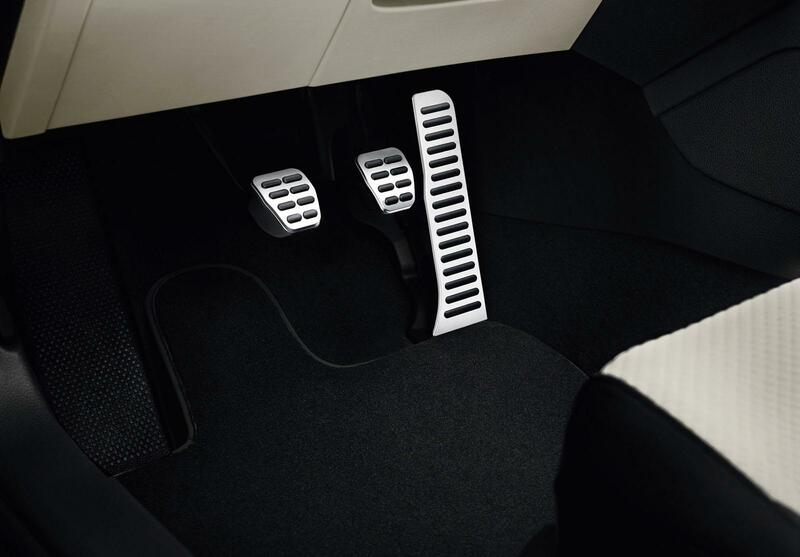 Give elegant yet sporty gas, shifting and braking: the make the grip Volkswagen Genuine pedal caps made ? ?of brushed stainless steel possible. While the high-quality design is impressive and the anti-slip coating ensures a good grip. 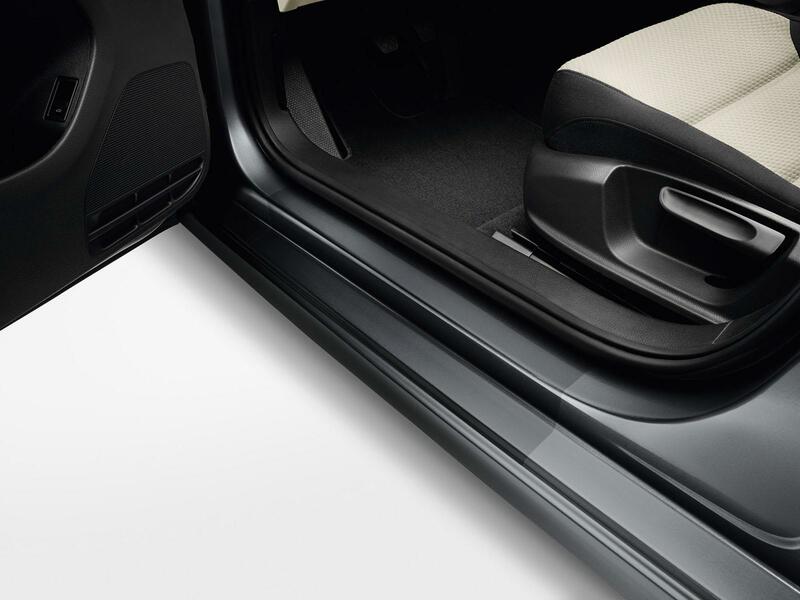 invisible shield for a joyous entry: the transparent Volkswagen Genuine treadplate film is as meaningful as functional detail that the paint on the door sills in the front and the rear entrance area from scratches and damage protects. 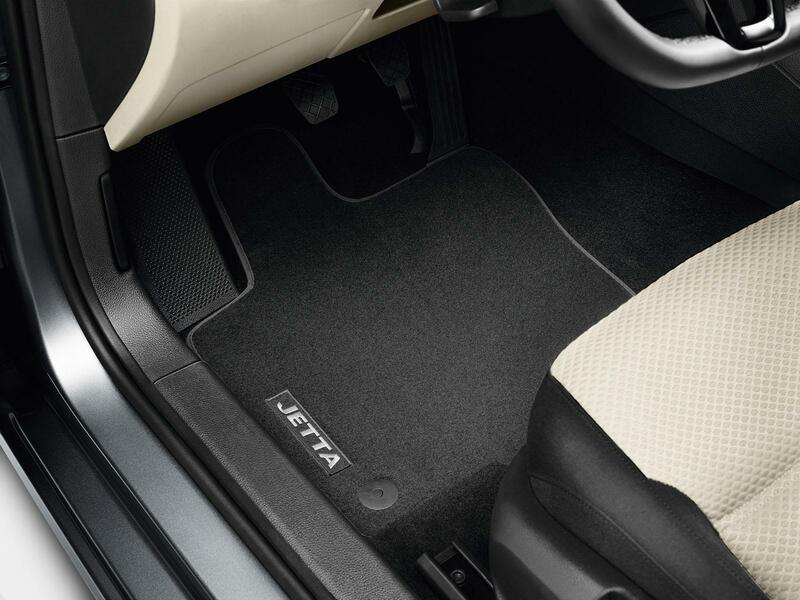 practical and in style for the first impression: The quality Volkswagen Genuine Premium textile floor mats bear the Jetta lettering in silver. They are made ? ?of tightly woven velor and have a wear-resistant back coating. 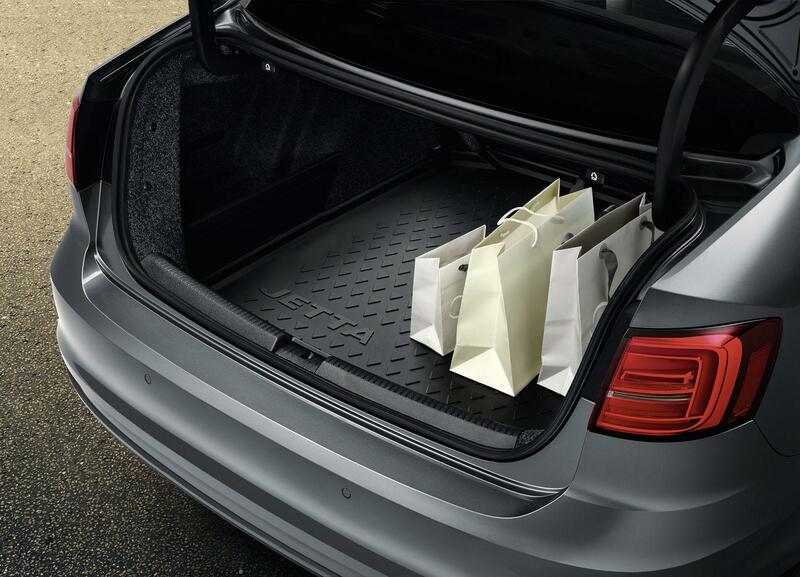 Sits on level and protects against dirt: the Volkswagen Genuine Luggage compartment tray with Jetta lettering fits perfectly in the trunk of the Jetta and is ideally suited to protect it from dirt. Soiled Sport shoes or golf equipment are in good hands in her, because she is washable, anti-slip and acid resistant. 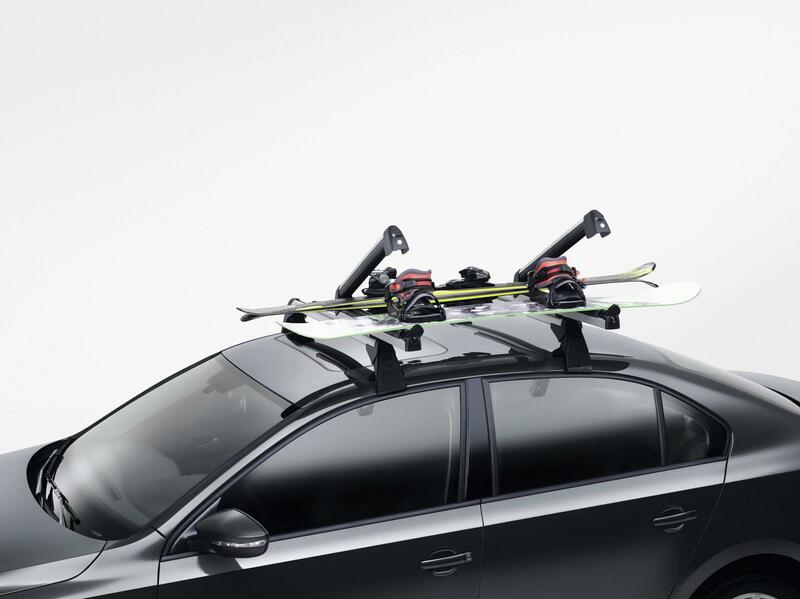 Perfect fit, tested safety: Whether Volkswagen Genuine bicycle, kayak, ski and snowboard rack or roof box – the roof structures of Volkswagen accessories provide for every need the right product. The base for all roof structures forming the City-Crash tested Volkswagen Genuine roof bars. Complete accessories range for the new Jetta is on each Volkswagen partners and in the e-shop at www.volkswagen–accessories-shop.de available. Complete hardware catalog is also under www.volkswagen- zubehoer.de available for download. ‘s recommended retail price (including VAT..) Volkswagen Genuine tail silencer trim stainless steel chromed: 75,00 € Volkswagen Genuine tail silencer trim black chrome: € 103.00 Volkswagen Genuine tailgate spoiler: 190 00 € Volkswagen Genuine pedal: € 112.00 Volkswagen Genuine treadplate film (transparent): € 55.20 Volkswagen Genuine Premium textile floor mats: € 105.00 Volkswagen Genuine Luggage compartment tray: € 65.40 Volkswagen Genuine Bicycle carrier: € 111.00 Volkswagen Genuine kayak rack : € 94.50 Volkswagen Genuine ski and snowboard rack: from € 98.10 Volkswagen Genuine roof: from 440,00 € Volkswagen Genuine roof bars: € 235.00 Volkswagen Zubehör GmbH – About us The Volkswagen Zubehör GmbH develops and sells a subsidiary Volkswagen AG worldwide vehicle accessories for passenger car and commercial vehicle models of car manufacturer. The wide product range includes more than 8,000 accessory articles in the fields Sport & Design, alloy wheels & tires, Communication, Transport, Comfort & Protection, Service & Maintenance and lifestyle. The company now employs more than 260 employees. Headquarters of Volkswagen Zubehör GmbH is Dreieich near Frankfurt am Main.